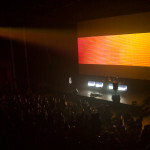 While Montreal’s spring festival offerings are always impressive, the announcement that MUTEK and Elektra were teaming up this year to co-present EM15 was met with much enthusiasm here at CAN. 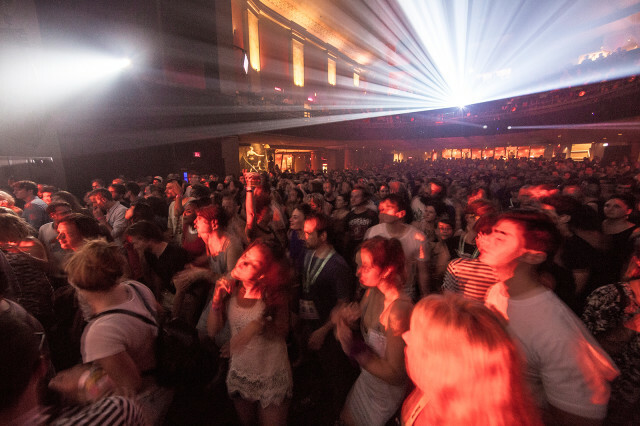 In each of their fifteen-year histories, these two organizations have been instrumental in nurturing and setting the agenda within the (now flourishing) audiovisual performance scene. 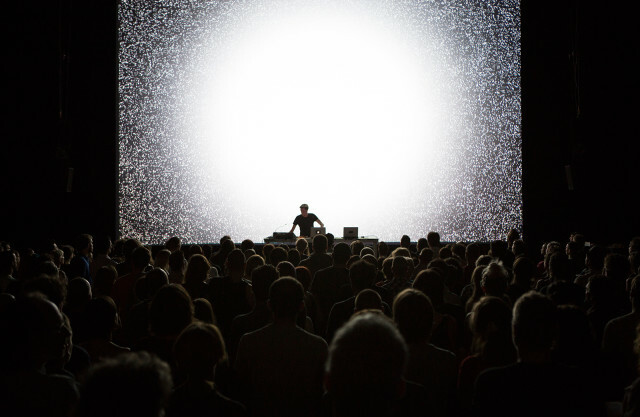 Given we’ve attended and excitedly reported on both Elektra and MUTEK many times in the past, we are pleased to announce that CAN and HOLO are presenting two sessions within the (free!) EM15 daytime program. 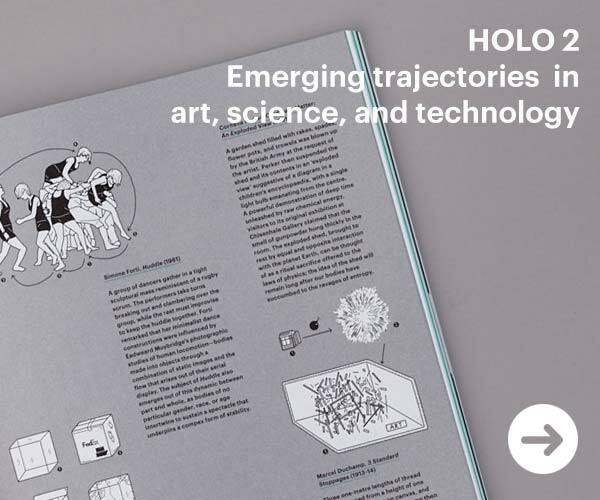 On Wednesday May 28th, HOLO Editor-in-Chief Greg J. Smith will conduct live Q&A sessions with collaborators Matthew Biederman and Alan Thibault, and then interview Paul Prudence. These conversations will shed insight on the artists’ works being showcased within the festival and also provide an opportunity to consider the challenges and potential of the ‘liveness’ in live visuals. There will undoubtedly also be discussion about nuts and bolts workflow orchestration as well as broader conversations about influences and ambition. The first session will feature visual artist Matthew Biederman and sound designer Alan Thibault, who are presenting the Montreal premiere of Physical at EM15. 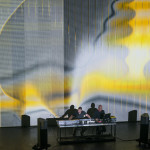 A synchronized AV performance investigating the “liminal edges of perception where the division of the senses begins to dissolve,” Physical explores the multi-sensory possibilities of moiré-induced overload. In the Q&A session we’ll drill into the creative dialogue that emerges from an accomplished composer/sound designer and generative artist teaming up to create collaborative works—in both gallery and club settings. This is not the first time the pair have fused their talents, they were behind the installation Event Horizon, one of the highlights of Montreal’s International Digital Arts Biennial (BIAN) in 2012 [see CAN’s post on the project here]. In the second session we’ll immerse ourselves in the practice of London-based audiovisual artist Paul Prudence. Showcasing his talents twice during EM15, Paul will be performing Cyclotone [covered in some detail on CAN here] and another yet-to-be-revealed work. 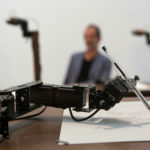 In conversing with Paul we’ll excavate his myriad aesthetic influences (they range from Constructivist architecture to the deep time of geology) and also address more pragmatic concerns such as strategies for generative system building. If you’re at the festival please consider joining us for these sessions—and bring some good questions for our discussants. We are excited to be catalyzing some public conversations around audiovisual performance as it is a topic close to our heart. 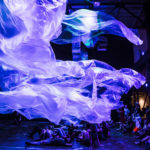 Given that EM15 is a sprawling electronic music festival and celebration of “contemporary digital creation” there are numerous events and performances that we’d recommend. 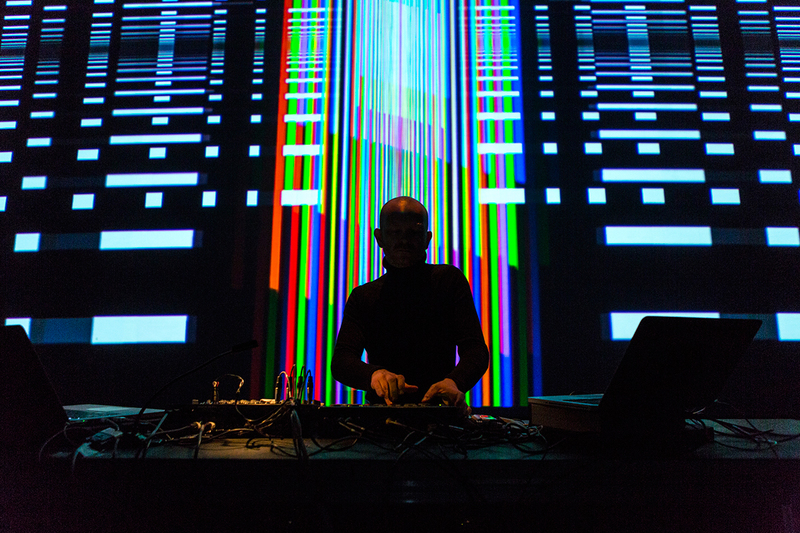 As detailed in a post last week, Robert Henke is presenting Lumière, an ambitious exercise in high-powered laser choreography. Henke’s performance will be paired with Reclusion, a promising AV collaboration between Markus Heckmann (from Derivative, makers of TouchDesigner) and ambient techno stalwart Matt Thibideau. Also of note: Tim Hecker’s new piece Fog Works is apparently as cloud-shrouded as the name would suggest and the chance to hear chest-rattling producers like Shackleton, Pinch and Fluxion live will be a treat. If that wasn’t enough, the BIAN is in full bloom right now with an amazing program of exhibitions that includes work by Ryoji Ikeda, Chris Salter, LAb[au] and many others. Once all the dust has settled, we’ll weigh in with a full report on EM15 and its associated programs—see you in Montreal!